This is my Porsche powered by a VQ35 engine…Oh wait back to reality, my G35 just got a fresh Porsche 911 GT3 paint job called Atlas Grey Metallic that is. Anyways My G is my daily driver so I tried to keep the look as OEM as possible. So I put a Full Nismo body kit because this kit just looks like it came out of the factory, don’t you agree? To think a couple months ago my G35 was pretty much stock. 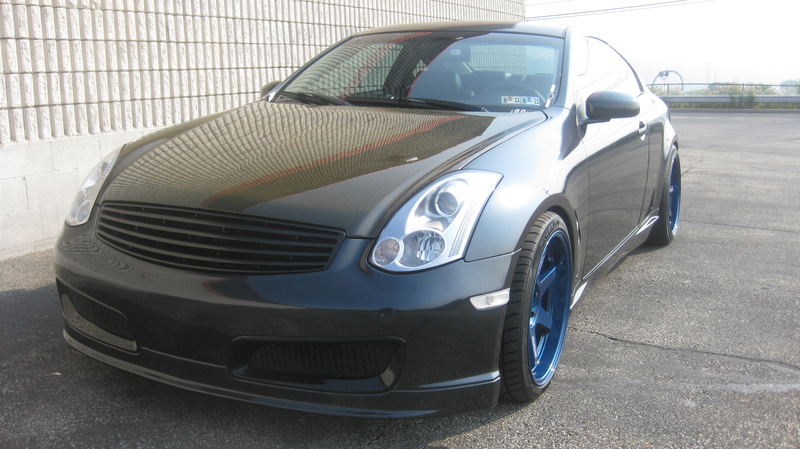 2010 was the year for my G35′s transformation and i went all out as you can see but i still have much more to do. Your probably wondering what’s with the Blue wheels? Those aren’t just any ordinary blue wheels. 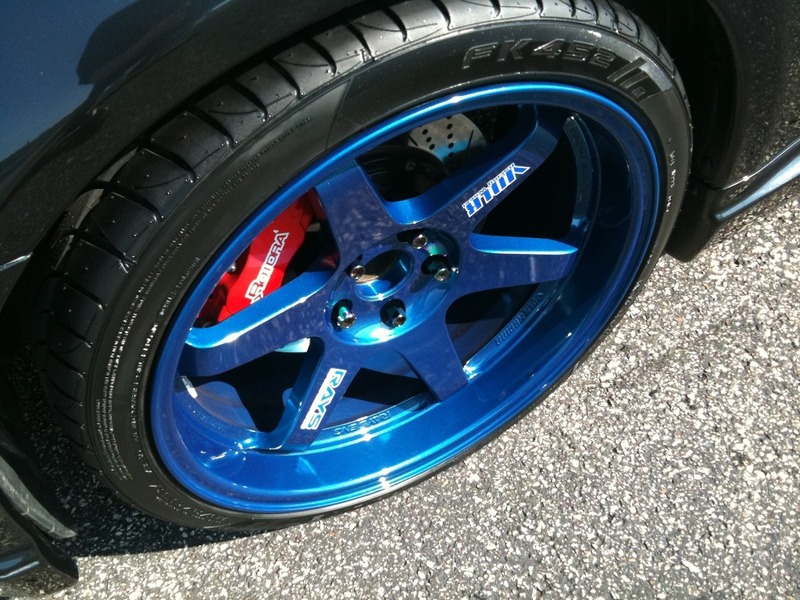 The color is called Fzero Blue from Volk Racing and I believe there’s only 2 sets in 19″ with +12 offsets ever made. So trust me when I say that you probably wont see any G or Z with these set of wheels at a car shows you attend to. That may sound a bit cocky but take it how you want it. HA! 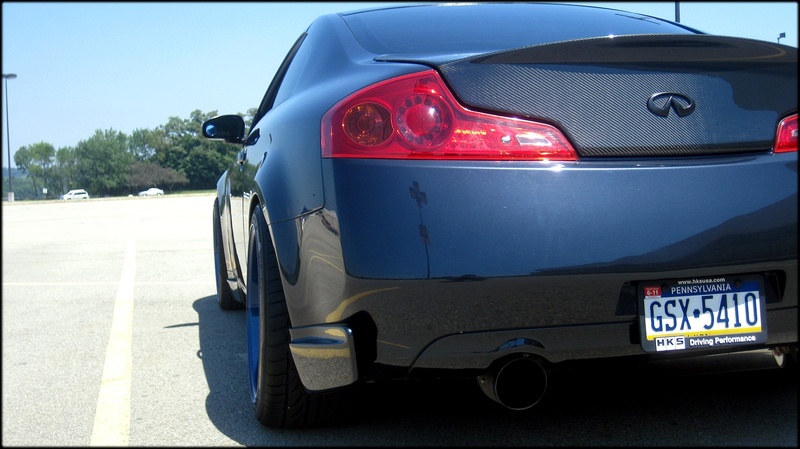 I think the G35 has one of the most sexiest stock rear ends period!. Everything about a G35 is just perfect in my eyes. Any angle , every corner you look at the G35 lines wont disappoint. Yea please forgive my wheel gap, but this height has to do for now since roads here are horrible.